On the official invitation of the Government of DPRK, a four member high level Nepalese journalist’s delegation of Nepal Journalists Association had visited DPRK from 12th June to 22nd June 1979. In the delegation, Mrs. Sabha Laxmi Sakya, Mr. N.K. 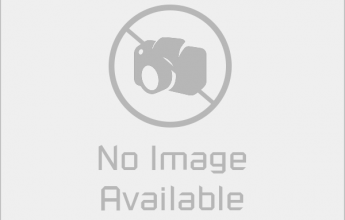 Aryal and Mr. Gopal Gurung were the members. The Great Leader President KIM IL SUNG despite his very busy engagements in Party and state activities granted us audience as well as interview at Chongjin on 19th June 1979 and the way he intimately embraced me by calling me as an old friend, left indelible imprint on my heart. I felt very lucky to have a great opportunity with the Great Leader President KIM IL SUNG face to face and heart to heart talk .This can never be effaced from my memory. This day is, therefore, a very important day in my life. The Great Leader President KIM IL SUNG answered all of my questions. Before answering of my questions, the Great Leader President KIM IL SUNG told me: “I should have met you in Pyongyang. But being away on a local tour of guidance, I was obliged to request you to come a long way here. I am very sorry for this. I would like you to understand this circumstance. I bid you a hearty welcome on your visit to our country. I express my thanks to you for your great efforts to promote friendship between the Korean and Nepalese peoples and for the active support and encouragement you have given our people. I am especially grateful to you, the Chairman of the Nepalese Journalists Association, for your positive support and encouragement to the Korean people's struggle for national reunification and socialist construction, and also for the congratulatory messages you have sent me several times. Although this is my first meeting with you, I feel as if I am meeting an old friend. Today's meeting has made us close friends. I present you my thanks for the cordial words you have spoken about this country and about me. I am also thankful for your active support to our people's cause of national reunification. Today I meet you in the recess of a conference. Although our time is limited, I will briefly answer your questions. " After that the Great Leader President KIM IL SUNG gave the answer which I put before him. Among all the questions in regard to the friendly relations between Nepal and DPRK, President KIM IL SUNG replied "You said that the friendly relations are developing favorably between Korea and Nepal, which I think is very important. The Kingdom of Nepal and the Democratic People's Republic of Korea now have a great friendship. We deem this friendship fully in accord with the interests of our two peoples. Our two countries, both located in Asia, champion independence. We are also member states of the non-aligned movement. I think this provides the basis of unity to our two countries. We highly appraise and actively support the policy of the Kingdom of Nepal for developing into a peaceful, neutral and independent country. Last year younger brothers of the King of Nepal visited our country, and it greatly contributed to the friendship between our two peoples. In future, too, we will continue to strive for strengthening the friendship and solidarity between the Kingdom of Nepal and the Democratic People's Republic of Korea between the Nepalese and Korean peoples. I hope that our two peoples will march forward shoulder to shoulder for the unity of the independent national states and the non-aligned countries. Our two countries are developing nations, so we must cooperate and make interchanges and share good experiences with each other in all fields, further strengthening friendship and solidarity. I believe that your efforts for cultivating friendship between the Democratic People's Republic of Korea and the Kingdom of Nepal will further promote the friendly relations between our two countries. I am very glad to see you today. I hope you will continue to work for the friendship between the two countries as good friends of the Korean people. I am very grateful that you have come here to see me today, and hope that backs home you will kindly convey to your people the best wishes of our people for them”. During the meeting, we had the fortunate opportunity of knowing and acquainting ourselves with the Great Leader President KIM IL SUNG commanding international veneration and esteem from a very close quarter and the impressions of the same are even today indelible in my mind and heart. We ourselves feel sometimes wonderstruck to see how the impressions of President KIM IL SUNG’s personality have been immortal on our heart and then put a question and ask as to why it could become so. Then immediately we recall the most affectionate and friendly manner in which the Great Leader President KIM IL SUNG treated us and the members of our delegation during that visit and some to the conclusion that was mainly the reason behind that. The day we happened to personally meet President KIM IL SUNG symbolizes, we feel the fulfillment of our long cherished dream and aspirations. We are indeed very much indebted to President KIM IL SUNG for the precious time he allotted to grant me an interview, and feel that the affections and most cordial treatment he meted out towards us, we and our colleagues on the occasion too was equality significant. It was indeed a very unique occasion for us to have received such a fraternal treatment from the Great Leader President KIM IL SUNG. The simplicity and deep affection with which President KIM IL SUNG held conversation with me and replied to my various questions confirmed in our minds and hearts the truth that it is these qualities and virtues of this most distinguished personality of President KIM IL SUNG which in fact are responsible for taking Korea on the path of progress and prosperity. Likewise, I got the opportunity to visit DPRK with my wife Mrs. Subha Laxmi Sakya on the official invitation of Govt. of DPRK again from 7th March to 19th March 1980. from 8th October to 18th October 1980 and from 20th November to 1st December 1990. During my visit to DPRK on November 1990, I also get the great opportunity to put the questions before the Great Leader President KIM IL SUNG on 29th November 1990 in Pyongyang. In regard to my question about the friendly relations between Nepal and the DPRK to further strengthening these ties of friendship and mutual cooperation and understanding, President KIM IL SUNG gave the answer : "Historically, the relations between Korea and Nepal have been developing favorably. 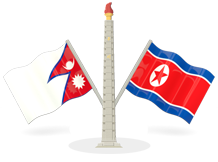 Since the establishment of the diplomatic relations between the DPRK and the Kingdom of Nepal in May 1974, the peoples of the two countries have been supporting and cooperating with each other in the political, economic, cultural and other fields. At present the relations of friendship and cooperation between Korea and Nepal are developing still better with every passing day, thanks to the joint efforts of their governments and peoples. Both Korea and Nepal are independent countries that value the ideals of non-alignment, peace and friendship. Ours are the relations of genuine friendship and cooperation on equal terms, based on mutual understanding and confidence. Our two countries have good prospects for developing these relations continuously and favorably in the future. Korea and Nepal are situated in Asia. Today’s Asia is entering a new stage of development, focusing the attention of the international community. The Asian people are industrious, talented and strong in the spirit of independence. Judging from its natural and geographical conditions, Asia has great potentials for rapid progress. The Asian people must oppose imperialist aggression and intervention, rid themselves of backwardness and poverty handed down from the past, and build an independent, peaceful and prosperous new Asia. To this end, the Asian countries must further develop solidarity and cooperation. Expanding and developing the relations of friendship and cooperation between Korea and Nepal will not only help the two peoples build a new society but also contribute to strengthening solidarity among the Asian people and cooperation among the Asian nations. It is the consistent foreign policy of the Government of our Republic to unite with the peoples of all countries who champion independence and to further the relations of friendship and cooperation with the Asian countries in particular. The Government and people of the DPRK will, as in the past, make every effort to develop the many-sided relations of friendship and cooperation with the Nepalese people under the banner of independence, peace and friendship. Availing myself of this opportunity, I send warm greetings to the friendly Nepalese people and wish them a fresh success in their efforts to safeguard the independence of the country and their unity of the nation and to build a new society which is democratic and non-aligned. " During our visit, we came across living example of how the state has made all necessary provisions to systematically raise the living standard of the Korean people in all fields. The credit to all this goes to the Great Leader President KIM IL SUNG. It is the result of this contribution that the entire Korean people are today prosperous and happy. We had notices the record of the tremendous progress made in the field of education during our visit to Korea and we found that the country had gone further ahead in those fields when we visited Korea again and again. The entire Korean children have been provided with all modern facilities and DPRK is the only country in the world where education and medical treatment are completely free. There are provisions for the welfare of the old people and the women fold too and they have been emancipated from various problems. To be true, the society of DPRK has become free from all kinds of exploitation which is a great victory for the entire Korean people. DPRK is developing vary fastly because there is no political problems. Each and every Korean people have the feeling of national unity, nationalism, to save the sovereignty and to develop their country in full swing without any foreign interference. I have also found that the relations between the Korean people and the Government is just like the relations between water and fish. Actually speaking, DPRK is still progressing under the dynamic and far-sighted leadership of the Great Leader Comrade KIM JONG IL. On this happy occasion, I and the on behalf of Nepal Journalists Association sincerely wish a long life and good health of His Excellency Comrade KIM JONG IL, the General Secretary of the Workers’ Party of Korea, Chairman of the National Defense Commission of the DPRK, Supreme Commander of the Korean People’s Army and the Great Leader of the Korean people and prosperity of the Korean people.